← Happy Halloween From Garden Variety! Spices at a market in India. Photo courtesy of Wikipedia. Foreign spices have twice the share of contaminants found in other types of imported foods, the F.D.A. says. A U.S. Food and Drug Administration report released Wednesday says that roughly 12 percent of spices imported into the United States over a three-year period were contaminated with insect whole insects, insect parts, rodent hairs, excreted waste and other hitchhikers. The examination of 20,000 spice shipments by federal food authorities also found that nearly 7 percent of all spices entering the country contained salmonella, a toxic bacteria that causes food-borne sickness in 1.2 million Americans each year. Poor harvest, handling and storage practices are cited as the primary causes of contamination. 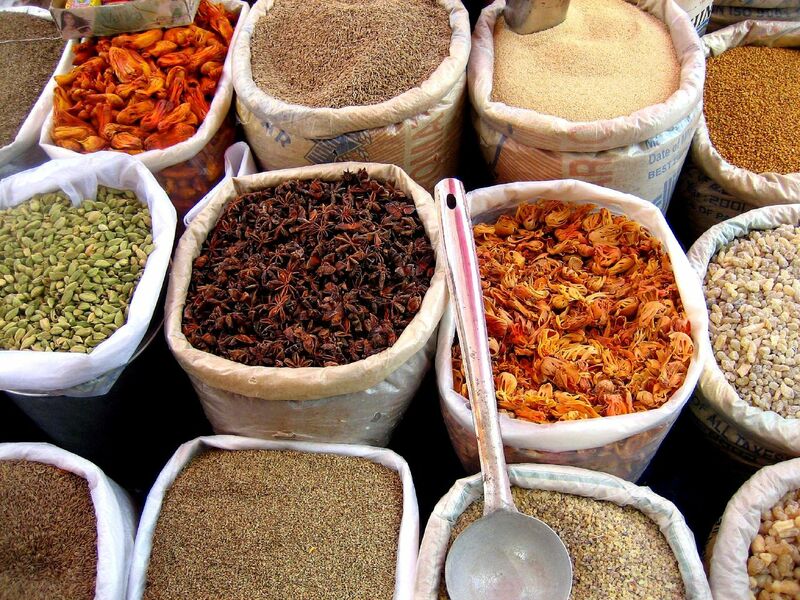 According to the analysis, the highest share of contaminated spices came from Mexico and India. Officials view contamination problems in India particularly troubling, since the Asian country is responsible for nearly 25 percent of all spices, oils and food colorings used in the U.S. The government shutdown prompted F.D.A. commissioner, Margaret A. Hamburg, to delay plans to visit India this fall and meet with industry officials about Indian spice safety. This entry was posted in Food and tagged contaminated spices, F.D.A., FDA, Food and Drug Administration, imported spices, India spices, Indian spices, spice contamination, spice imports, spices contamination. Bookmark the permalink.